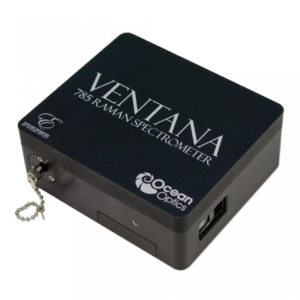 The Ventana VIS-NIR spectrometer is optimized for low signal VIS-NIR measurements (430 to 1100 nm) like Fluorescence. Ventana VIS-NIR is a high-performance spectrometer providing exceptional throughput and sensitivity in a small footprint. Designed to minimize light loss and maximize throughput, Ventana VIS-NIR is a cost-effective alternative to integrated benchtop systems with no compromise in performance.